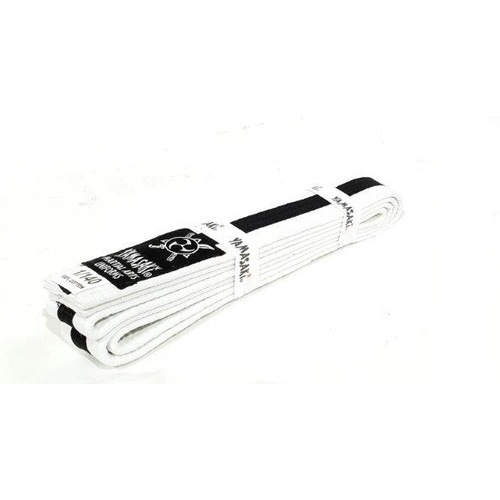 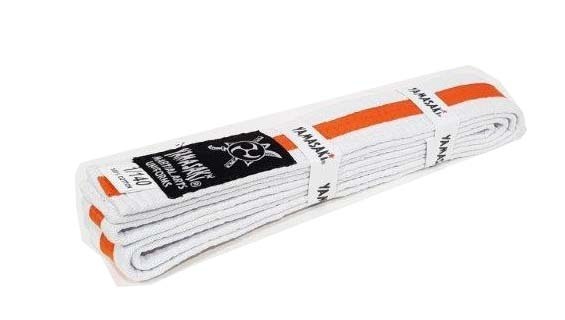 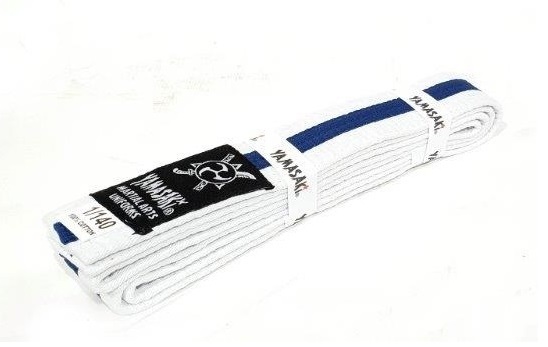 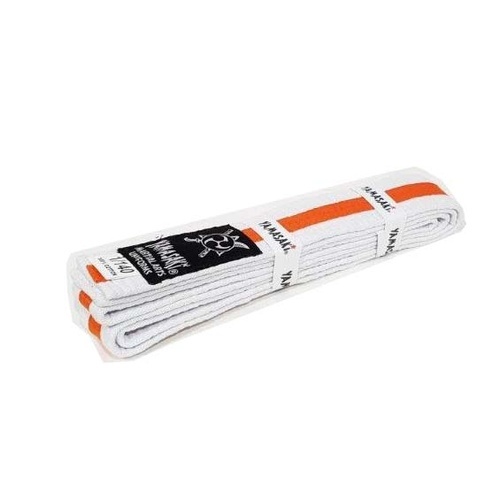 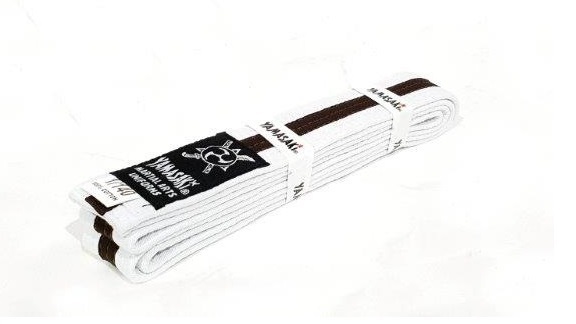 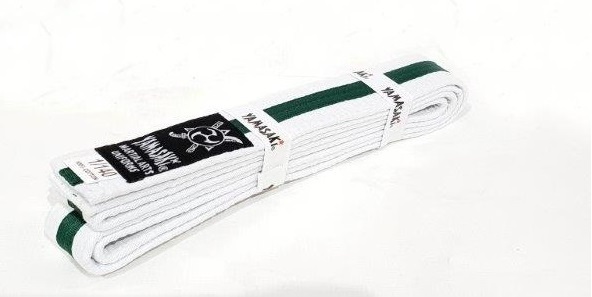 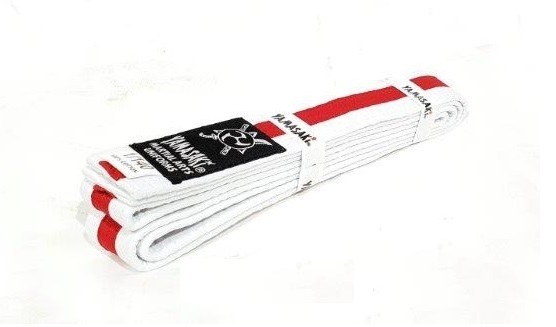 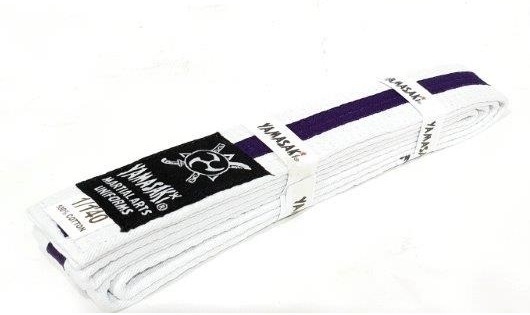 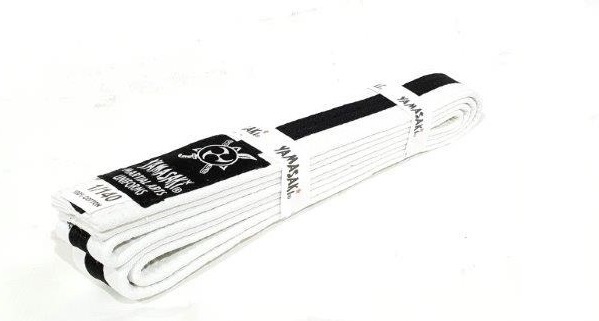 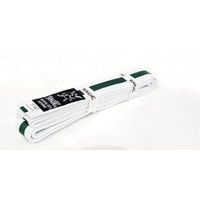 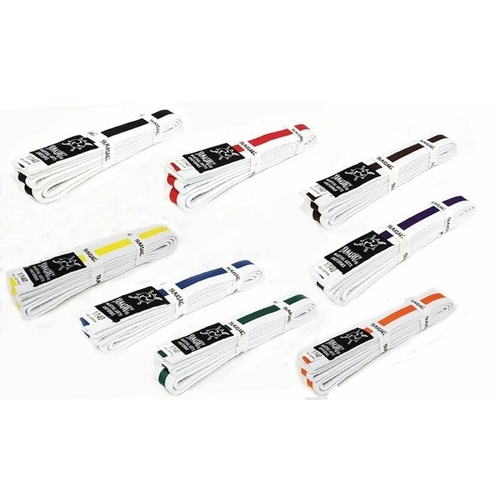 The Yamasaki Deluxe white with coloured stripe martial arts belts are used by 100’s of martial arts schools Australia wide, white belts with coloured stripes are often used for younger martial artists, these belts are a great way of offering promotional graded belts for kids who are to young to receive their white belt. Our 100% cotton rank belts offer a winning combination of durability, comfort, function, and style. 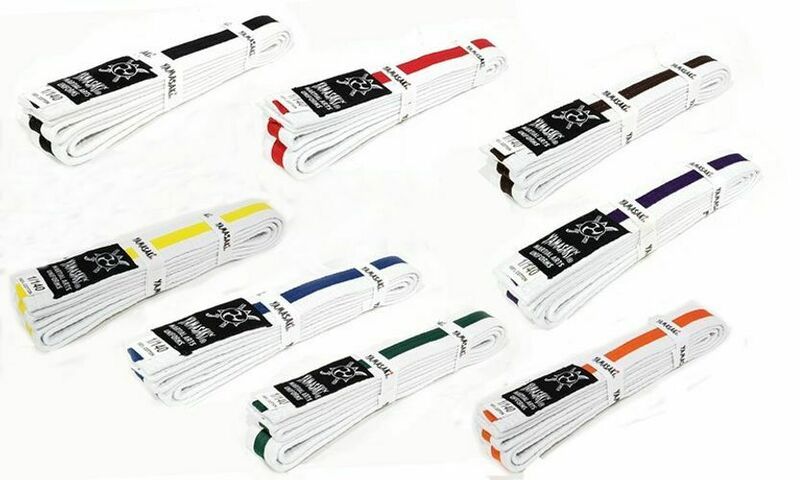 It's why so many schools choose our obi belts for their martial arts programs. 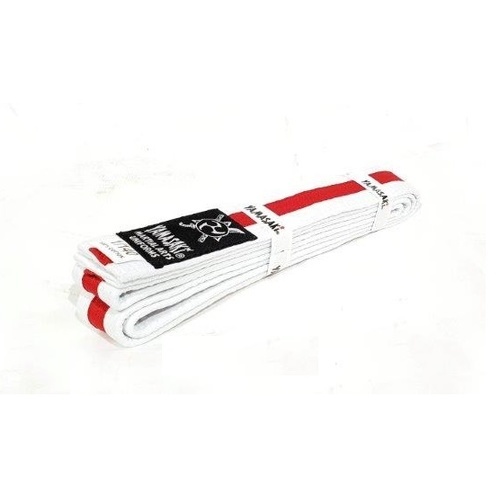 Heavily stitched for durability, dyed for superior colour and using a multi-layer inner strapping core makes our selection of coloured karate belts the preferred choice by martial arts schools across the country.